MANY FOOTBALLERS would give up everything to have a CV even remotely resembling that of 33-year-old defender Nilla Fischer. 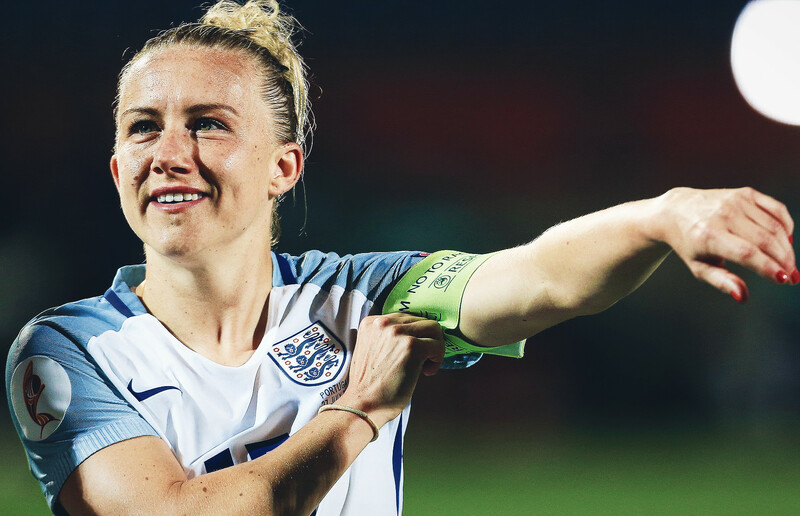 Apart from the fact that Fischer has just surpassed the rather impressive landmark of 150 international caps for Sweden, the Wolfsburg centre-back has two Swedish league titles to her name, two German league titles, three German Cups and a Champions League victory in 2014. More the bridesmaid rather than the bride for Sweden, Fischer can still proudly hold up a World Cup bronze medal and an Olympic silver, but she’s still looking for that elusive gold. Whilst football was fun for a young girl growing up kicking a ball around with her twin brother, the teenage Fischer soon dreamt of representing Sweden. It’s no wonder – Sweden were one of the best national sides in the world at the time and won the first ever European Championships just a couple of months before Fischer was born. With players like goalkeeper Elisabeth Leidinge, captain Anette Börjesson and fearsome strike duo Pia Sundhage and Lena Videkull, Sweden were a force to be reckoned with. Fischer’s progress with the national team wasn’t rapid. Despite making her debut, Fischer didn’t go to the European Championships later that year, or indeed the following tournament in 2005. But on the domestic scene, things were progressing nicely. Now perhaps known better as FC Rosengård, Fischer joined the club under the guise of LdB Malmö in 2003, finally at a team that could challenge for major honours. Fischer had joined a club that had finished second in the Damallsvenskan an incredible seven years in a row, largely thanks to Umeå IK, a team that won the Champions League in both 2003 and 2004, boasting Sweden superstar Hanna Ljungberg and Brazilian magician Marta in its attack. During her time in Malmö, Fischer finally made her major tournament bow with the national team, playing at the 2007 World Cup in China, with Sweden now under the guidance of new coach Thomas Dennerby. Paired with the indomitable USA side and two tricky teams in Nigeria and North Korea, Sweden’s 2-1 win over the latter in their final group game wasn’t enough to turn around a goal difference deficit, and Fischer’s first taste of tournament football was over before the knockout stage. Fischer found herself back in China a year later for the Beijing Olympics and the beginning of a rivalry with Germany that would dominate her and her teammates’ international careers over the next few years. Arguably the best in the world alongside the USA at the time, a 2-0 quarter-final defeat to Silvia Nied’s side ended Sweden’s medal hopes. Three years later, Sweden and the rest of the world travelled to Germany for the 2011 World Cup, a tournament that would leave Fischer with one of the most special moments of her career. Despite Germany’s strength, it wasn’t to be for the hosts as they went out to eventual surprise champions Japan at the quarter-final stage. Japan also proved to be Sweden’s kryptonite in the semi-finals, leaving Fischer with a bronze medal match against France. And what of their new head coach? 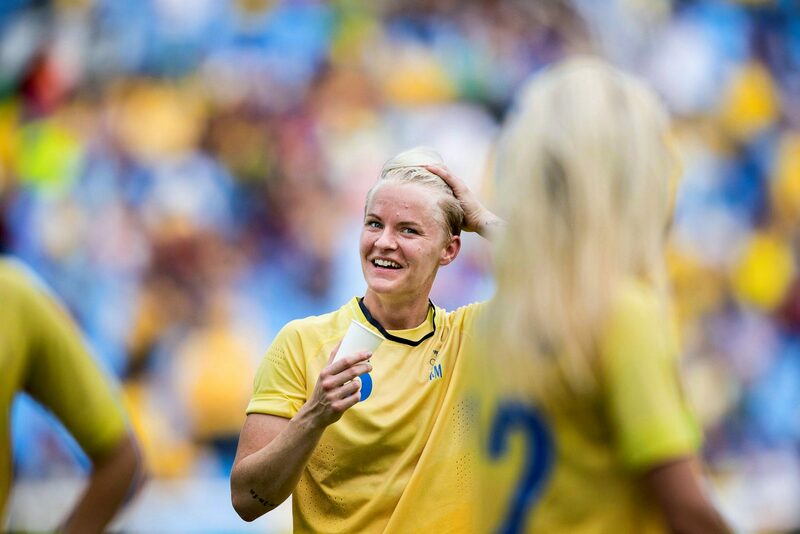 Many of the players, including Fischer, had grown up watching Sundhage as a star player for Sweden. Now one of the most respected figures in world football was their coach. “Pia was, and is, a legend,” says Fischer. “That brought a lot of hype and interest around the team. We took the energy from everything and put it into our game. It’s something I wish every player could take part in, to play in their home European Championships. “Pia’s all about football, she’s passionate about the game. Many players realise how big she was before as a player, then you realise it goes to another level. When fans came to watch training, they wanted Pia’s autograph before the players, it was amazing to see the effect she has on people. The great thing was, she could join in sessions, she would put crosses into the box for you. “I don’t know how old she is now, but it’s amazing to see the skills she still has, I can only imagine what they were like when she was young,” she laughs. Over 16,000 fans attended Sweden’s opening game against Denmark in Gothenburg, where Fischer was now deployed as a centre-back under Sundhage’s leadership. Strangely, despite moving further down the pitch, Fischer suddenly found an eye for goal in front of her home crowd. The defender scored in the 1-1 draw with Denmark before another two followed in a thumping 5-0 win against Finland. A 4-0 win over Iceland in the quarter-finals meant a semi-final against rivals Germany back in Gothenburg, but a sole Dzsenifer Marozsán strike denied Sweden a dream final against fellow Scandinavians Norway. “We really thought we would reach the final, but Germany were in the way again,” says Fischer. With no bronze medal this time around, Fischer’s attention returned to domestic football, and a month after the conclusion of the tournament she joined German giants Wolfsburg for an assault on the UEFA Champions League. 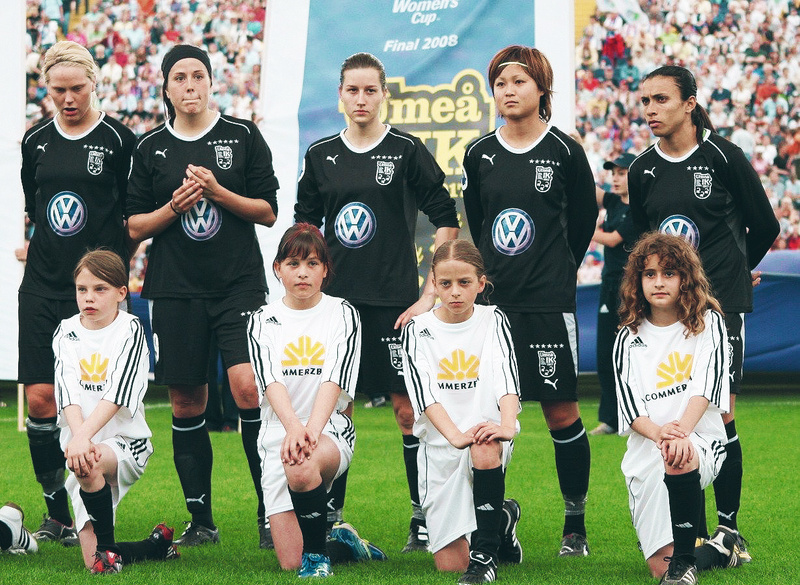 In the form of Turbine Potsdam, FFC Frankfurt and FCR Duisburg, German clubs had regular control of Europe’s primary club competition, but the rise of French side Lyon ended the stranglehold. Fischer was joining the reigning champions, Ralf Kellermann’s side beating a Lyon team consisting of Wendie Renard, Amandine Henry, Megan Rapinoe and Fischer’s Sweden teammate Schelin at Stamford Bridge. Fischer was on the verge of getting her hands on the biggest domestic trophy of them all as Wolfsburg beat Fischer’s former side Malmö, as well as Barcelona and Turbine Potsdam, to reach the final, played in front of 11,000 fans in Lisbon. Lining up on the other side were Tyresö FF, a side who enjoyed a rapid rise in Swedish football, but a rise that would see their early demise from top-level football soon after. Months before the final, it had already been announced that financial issues would mean key players would walk away after the game, but it was still a formidable side facing Fischer and her teammates. Coached by Swede Tony Gustavsson, Tyresö had a range of Swedish players, including captain Caroline Seger. US trio Meghan Klingenberg, Whitney Engen and Christen Press all started, as did fearsome duo Veronica Boquete and Marta. A self-confessed Liverpool fan, Fischer likens the win to Liverpool’s 2005 Champions League against AC Milan, where Rafa Benítez’s side came back from 3-0 down to win on penalties a year later. Whilst another Champions League title continues to elude Fischer, the centre-back was riding the crest of a wave and has gone on to win another Bundesliga title and three consecutive domestic cups since that night in Lisbon. It was Sweden who broke the deadlock after an hour, young superstar Stina Blackstenius firing past Hope Solo. Alex Morgan’s equaliser meant a penalty shootout, which would end after Lisa Dahlkvist capitalised on Christen Press missing USA’s fifth and final penalty. Sweden had done it, but the story was not over. Solo, one of the most recognisable names and faces in the women’s game, brandished the Sweden team a “bunch of cowards” soon after the match, a comment which two weeks later would see her banned by US Soccer for six months. 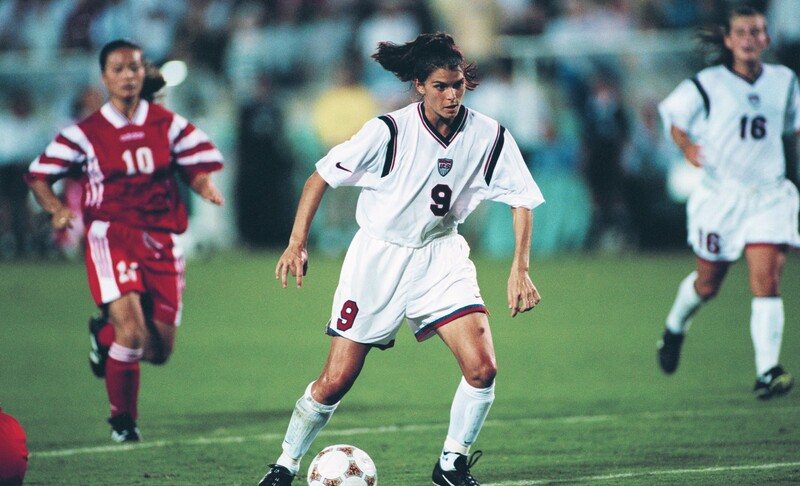 With 202 caps to her name, Solo hasn’t played for the USA since. Another penalty shootout followed against Brazil in the semi-finals. A carnival atmosphere and an incredible 70,000 spectators greeted the teams at the Maracanã in Rio, but it was the Swedes who ruined the party once again, with Fischer scoring one of Sweden’s five penalties. It meant a chance at an Olympic gold, and a guaranteed silver, with Sweden once again up against Germany in what would be Silvia Neid’s final game in charge after 11 years. With two of the most respected female managers in the game going head-to-head, 52,000 fans congregated at the Maracanã despite Brazil’s exit in the previous round. Goals from Marozsán and an own goal from Linda Sembrant left Sweden trailing 2-0 after an hour, and even Blackstenius’s strike soon after wasn’t enough for Sweden to finally get one over on the Germans. It was yet another defeat at the hands of a team who had become their biggest barrier, and Fischer accepts the Germans have always had something over her side. “You just really try to take every game as a new game and try not to focus on what has gone before, if we did then we’d lose the game before we even kicked off. At the 2015 World Cup, we just weren’t good from the beginning, we couldn’t match Germany’s level. Sweden secured a 0-0 draw but a shock defeat to Italy in their final group game meant they only progressed as group runners-up, resulting in a quarter-final match against the hosts. Eventual champions the Netherlands won 2-0, again ensuring an early end to a tournament for Fischer and her teammates. It was also the end for Pia Sundhage, who stepped down to be replaced by Peter Gerhardsson, the 58-year-old now tasked with taking Sweden to the 2019 World Cup. At 33, Fischer may only have one or two major tournaments left in her, but there’s been a big change to her life in recent weeks: Fischer has become a mum for the first time. It was in 2013 that Fischer announced in an interview with GX Magazine that she was dating her current partner Mariah Michaela, and that the two intended to marry at the end of the year. 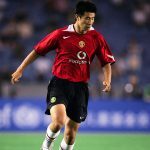 Aside from her personal life, Fischer and many of her colleagues around the world have seen themselves embroiled in disputes with their nation’s football associations in the search for fairer deals as the women’s game continues to grow around the world. Norway, USA, Ireland, Denmark and Sweden themselves have been just some of the high-profile nations who have taken a stand in order to get better deals, with Sweden finally getting a deal they were happy with earlier this year. In October, Norway agreed a 93 percent increase in pay with their FA, whilst Sweden’s undisclosed deal was announced just last month. It hasn’t been easy, Sweden’s 2019 World Cup qualifier against Denmark was cancelled and awarded as a win to the Swedes after Denmark’s players refused to play as they were embroiled in similar discussions over pay with their FA, despite reaching the Euro 2017 final in August.